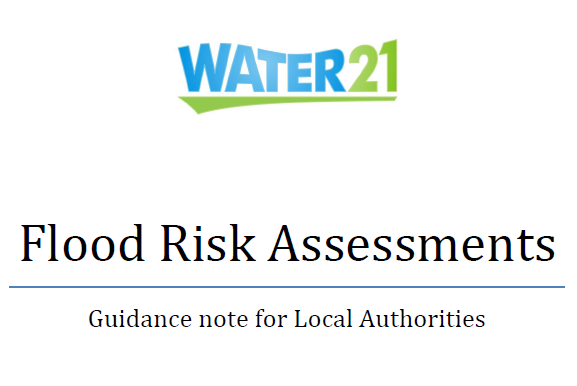 Below you will find links to Water21‘s detailed reports and scoping studies (pdfs). Please let us know if you use any of these in your own groups, and please give us due credit if you draw information from them in your own publications or projects. You can find our introductory presentations here. 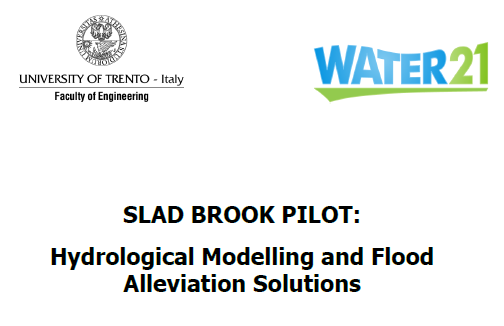 An analysis of the hydrology and topology of the Slad Brook in order to implement long-term, naturalistic, soft-engineered permanent solutions for flooding problems. 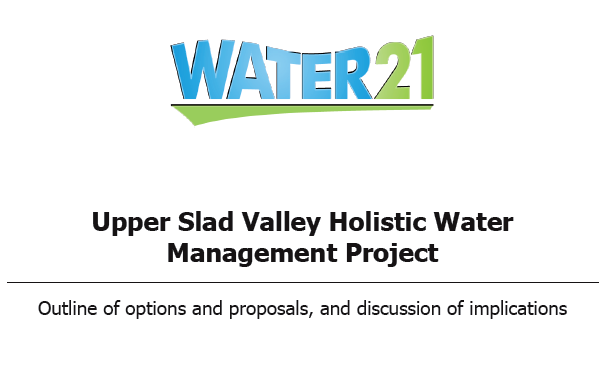 This paper responds to landowners in the Upper Slad Valley who wish to develop standing water resources on their properties and explores any opportunities this may provide for flood attenuation and other benefits. 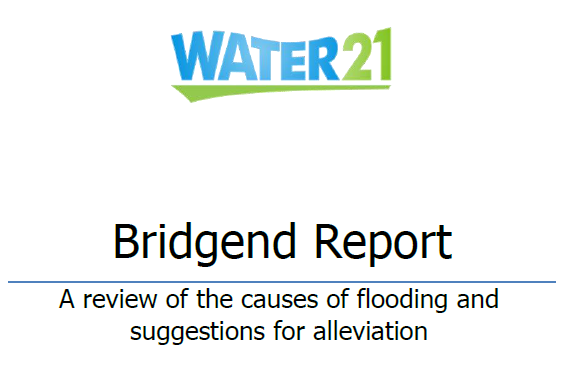 This report compiles evidence for the causes of frequent flooding at Bridgend, and puts forward a set of solutions to prevent this. It applies Water21 principles of multi-benefit (least cost) land use, holistic planning, community support and goodwill, providing a long-term, comprehensive solution. 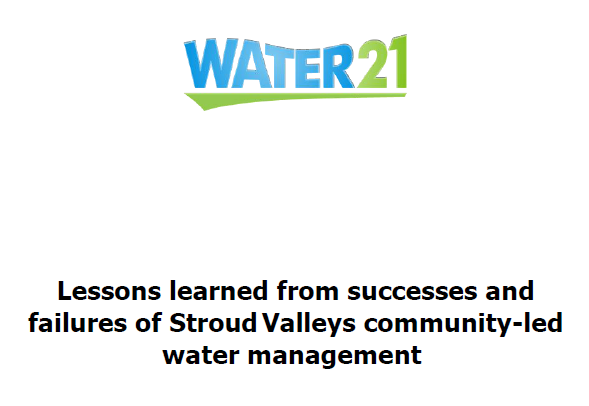 Important lessons learned from the early stages of community-led water management in Slad Valley, Stroud. 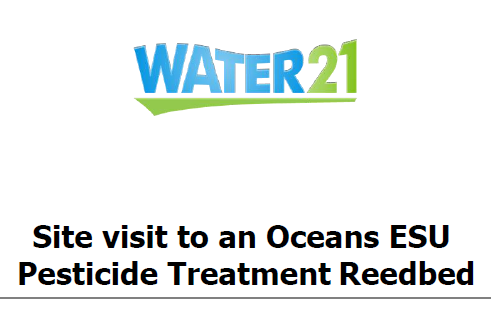 An independent report reviewing innovative reed-bed work by Oceans-ESU. An investigation of alternative schemes to resolve long-standing gross sewage pollution flowing from the unsewered hamlet of Claypits. 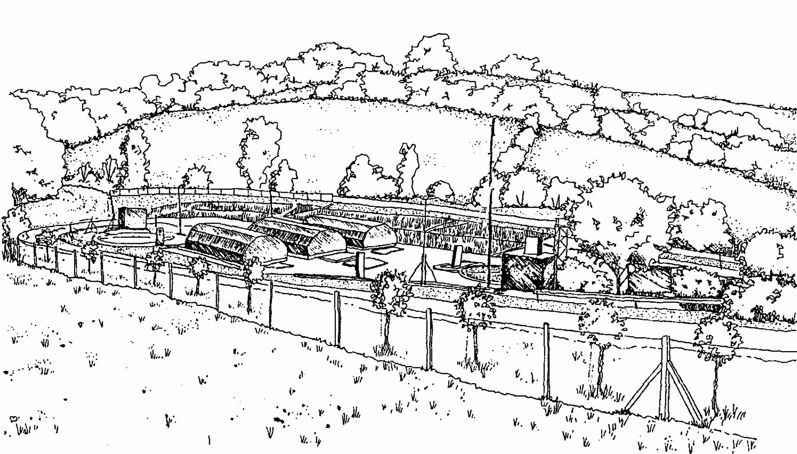 Stroud ‘Exemplar’ – Defra/Partners Pilot with Prof. Gerald P. Noone, MBE, and Julian P. Jones. This paper responds to a need for Local Planning Authorities to understand better ways of interpreting Flood Risk for planning and sustainable development policies. It also provides an overview of the main roles and responsibilities of the various stakeholders. 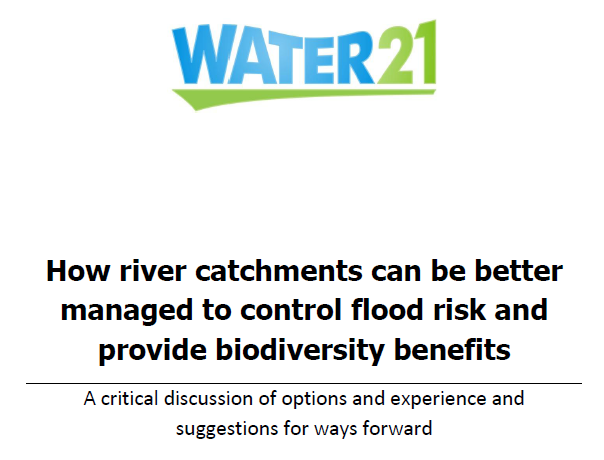 How river catchments can be better managed to control flood risk and provide biodiversity benefits. 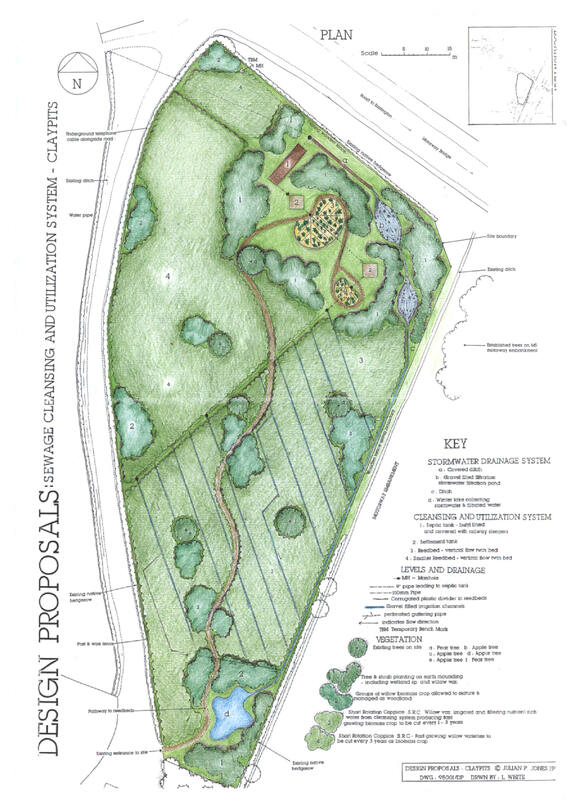 A critical discussion of options and experience and suggestions for ways forward. 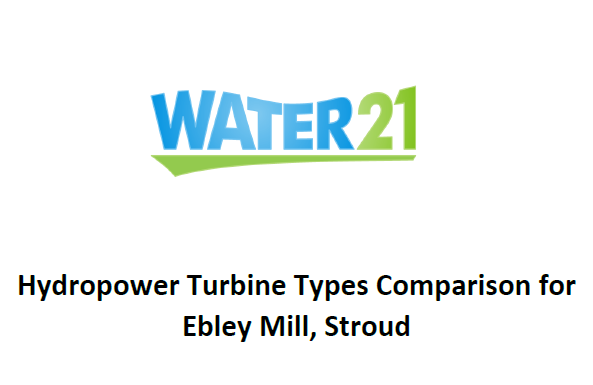 This report compares the effectiveness of 3 different turbine types (Crossflow turbine, Kaplan turbine, and Archimedes’ Screw), using varying development scenarios and examines some of the uncertainties that exist. 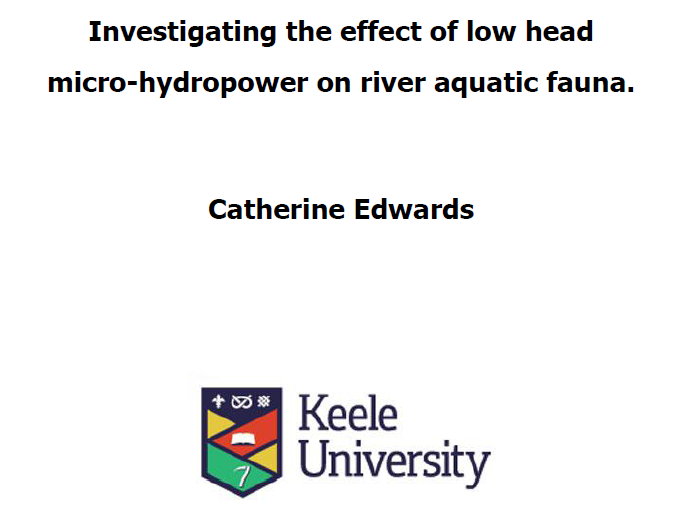 Keele University study on the effects of small-head hydropower on river biodiversity. 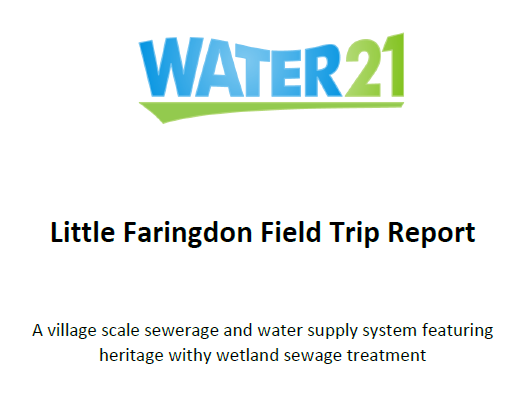 A village scale sewerage and water supply system featuring heritage withy wetland sewage treatment. Water21 Limited is a not-for-profit company limited by guarantee.